MONROVIA, CA – Moran’s spring auction season is in full bloom with their Traditional Collector auction event. The March 10th auction is filled to the brim with fine furnishings, décor, and artwork from Europe, Asia, and the United States, this auction is slated to be one of the best of the year. The Traditional Collector will feature an important collection of British paintings from the 17th, 18th, and 19th centuries consigned from a local private collection. Chief among the offerings is a beautifully painted portrait of Mrs. Isaac Elton (née Ann Tierney) from famed artist Thomas Gainsborough. The portrait of the enigmatic sitter captures the softness of her complexion and skillfully conveys the fine fabric and delicate pearls typical of a lady of her station and is estimated to sell between $50,000-70,000. What better place to auction this important work than miles away from the Huntington Collection, the institution where the most famous painting by Gainsborough, “Blue Boy”, is housed. A portrait of Thomas Bruce, 1st Earl of Elgin by Peter Lely, one of the most popular and important portrait painters of his day is consigned from the same collection. The work is estimated to bring $25,000-35,000 at auction. 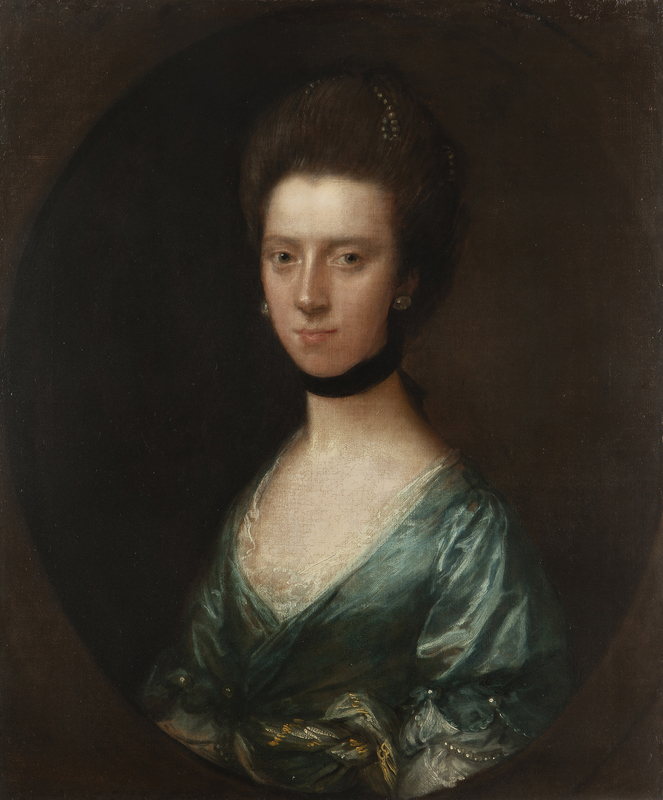 Additional works by George Romney, Sir Joshua Reynolds, and Cornelis Johnson van Ceulen. Masterworks from Continental European artists feature throughout the auction. 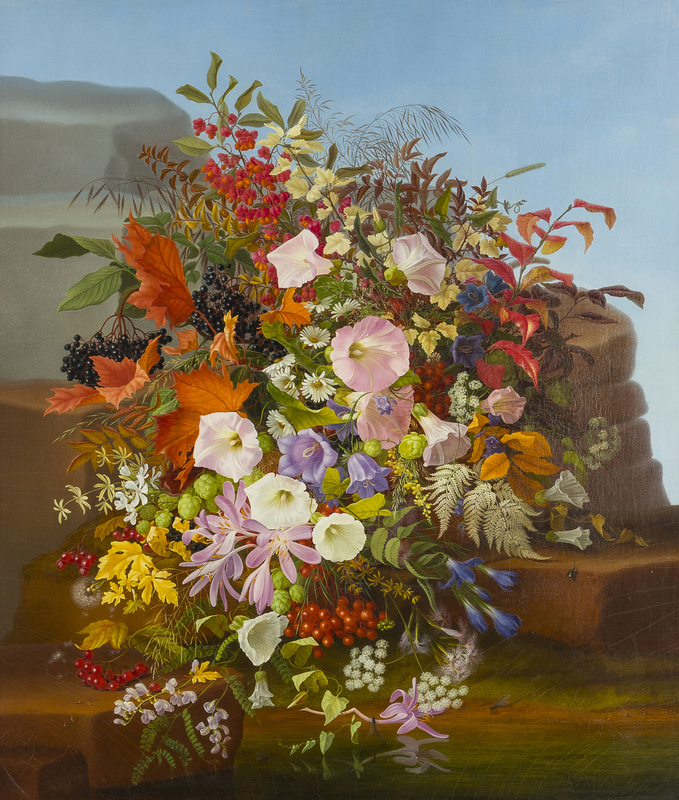 A stunning Adelhead Dietrich painting of an urn overflowing with autumn flowers heads to auction with a $15,000-20,000 estimate. A stunning Marcel Dyf portrait “Claudine with Blue Ribbon and Mandolin” is one of the finest examples Moran’s has had the privilege to auction and is estimated to sell between $3000-5000. A patinated bronze sculpture by famed Russian artist Evgeni Alexandrovich Lanceray of an imposing bear standing on his hind legs is estimated to sell between $3000-4000. 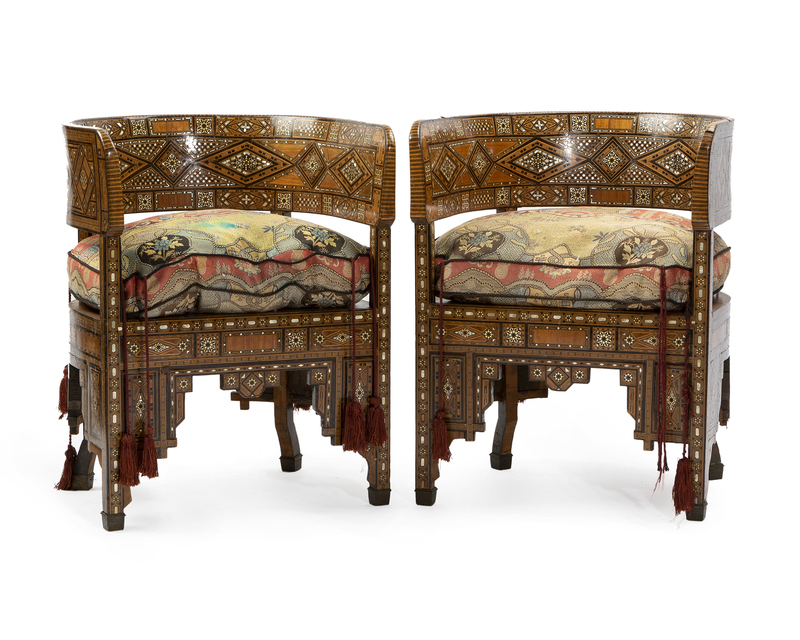 Collectors of fine French furnishings will be delighted with the offerings in this auction. 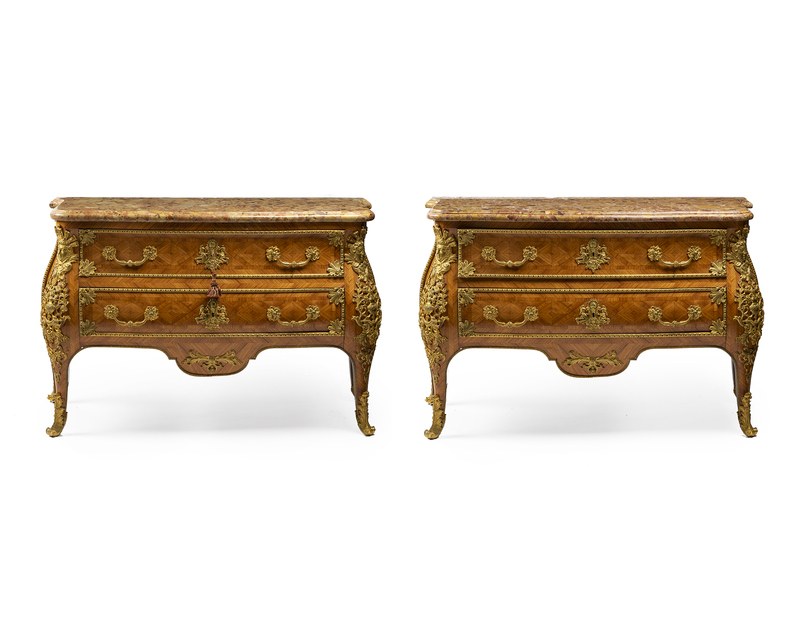 A pair of gilt bronze-mounted kingwood parquetry commodes en tombeau set with elaborate bronzework are sure to make a splash when they head to the block with a $5000-7000 estimate. A pair of French Empire mahogany and gilt bronze-mounted fauteuils de bureau with unusual swivel seat comes from a top maker, evident by the attention to detail in the bronzes and Cuban mahogany construction. The chairs will head to the block with a conservative $2000-3000 estimate. Rounding out the examples, a French Louis XV-style pastry table with delicate doré mounts are also estimated to sell between $2000-3000. Classic elements of good décor are on full display at the March auction as well. 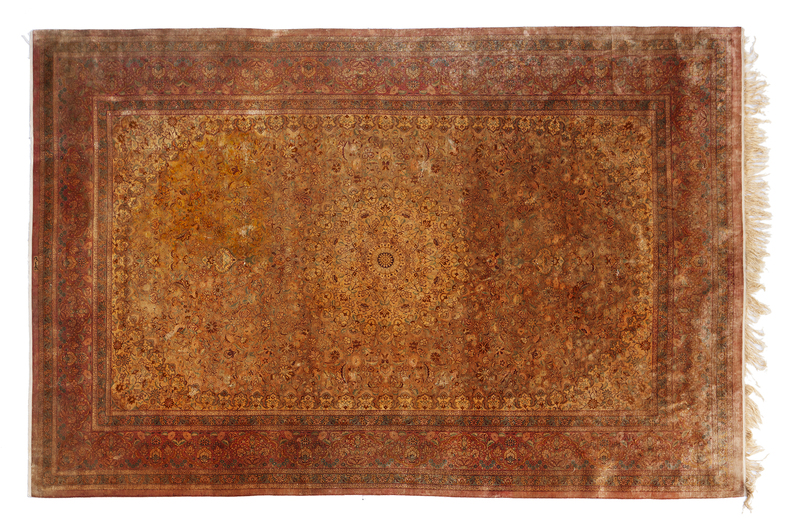 A central Persian silk on silk rug woven in Qom with warm colors typical of designs from that region is one of the most luxurious rugs in the sale and will head to the block with a $4000-6000 estimate. An English silver plated objet d’art in the form of a neo-Classical gazebo is one of the most charming lots in the sale and is estimated to sell between $4000-6000. A beautifully carved Chinese white marble statue of Quan Yin is estimated to bring $3000-4000 at auction. Taking our customer’s preferences to heart, Moran’s will begin offering a new Sunday auction day for select sales in 2019 beginning with the Studio auctions on January 13th. The day starts with the Studio Decorative Art auction at 10 AM, followed at 2 PM by Studio Fine Art. Previews for the auctions will run January 10th through the 12th from 12pm-4pm each day. On Sunday, January 13th, doors will open at 9 AM. Moran’s spring auction season is sure to dazzle with its slate of well-curated and diverse auctions. In addition to March’s Traditional Collector auction Moran’s will hold their highly anticipated California & American Art auction on Tuesday, April 9th.